With the Golden State Warriors astounding win against the Cleveland Cavaliers in the NBA finals, San Francisco continues to be an exciting place to live. 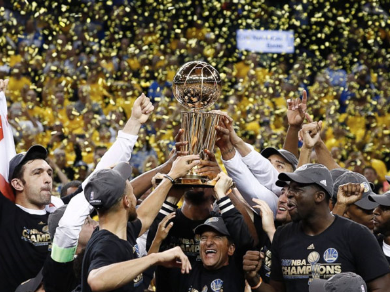 Determined to feel victory again, the Golden State Warriors restored themselves as champions making this the second championship in three years with a 129-120 victory. To honor the Warriors, the much anticipated Chase Center will be completed just in time for the 2019-20 season. Located within blocks from One Mission Bay, the new Residents can now walk to both the Chase Center and AT&T Park to catch a game. Add in luxury amenities that include a heated outdoor pool, poolside cabanas, and indoor/outdoor entertainment spaces, and OMB is the ultimate spot to tailgate before any game. Make your sports dream a reality by living in a neighborhood of champions – you won’t regret it.